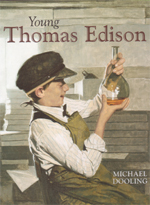 Illustrated History Books for Kids of All Ages! The Feature Film “Elijah and George” is based on the popular Illustrated Children’s Book “George Washington’s Army and Me” by Author and Illustrator Michael Dooling. Informational text worksheets include: characters, plot, setting, character traits, themes, cause/effect, conflict/resolution, response to text, and summarizing. Based on an article about the Declaration of Independence, this 28 page packet includes an article, ready to print student worksheets with answers, Declaration of Independence facts, Write like a Revolutionary activity, vocabulary sheet, Independence Day facts, extension activities, related web sites and teacher instructions. A good resource for 5th through 10th grades and American History Enthusiasts. “Life, Liberty and the pursuit of Happiness, “ wrote Virginia delegate Thomas Jefferson. Jefferson was chosen to write the Declaration of Independence because he had a reputation as a ‘masterly pen’. The fifty-six men who signed the Declaration CHANGED THE WORLD! Use this lesson plan to teach the true meaning behind the Fourth of July. 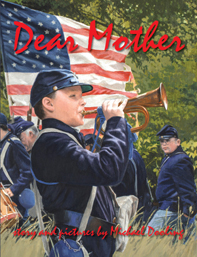 Learn about the Civil War through the eyes of a twelve-year-old bugle boy’s letter home to his mother. Soldiers from both the North and the South wrote letters home describing the hardships they endured. Many boys under the age of fifteen, and even some girls masquerading as boys, enlisted as messengers, scouts, drummers, fifes, and buglers. 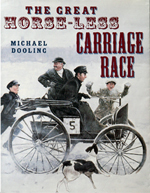 Chosen as a Notable Social Studies Trade Book for Young People 2006 by the Children’s Book Council and National Council for the Social Studies. Strange and monstrous bones for your classroom! Author & Illustrator Michael Dooling brings fossil hunter William Foulke’s quest for strange and monstrous bones to life. In 1858, Foulke unearthed the first almost complete dinosaur skeleton ever found, proving what dinosaurs looked like and that they really once existed. 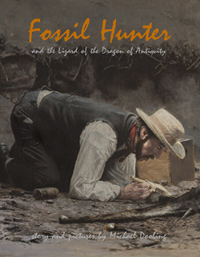 Foulke changed paleontology from a gentlemen’s hobby to a mainstream science.